CANTOR, Eddie born Edward Israel Itzkowitz, (1892-1964) was an American "illustrated song" performer, comedian, dancer, singer, actor, and songwriter. 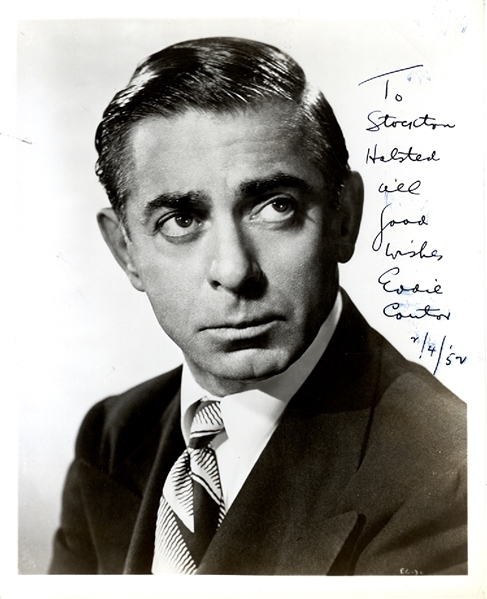 Signed Black/White studio photograph, Eddie Cantor, with presentation “To Stockton Halsted, all good wishes, Eddie Cantor, 2/4/52”. Dark signature, a few light smudges.